Parkour training is growing in popularity every day and is an excellent way to increase your revenue stream by offering something that not every gym or fitness center has. PKfit is that something. 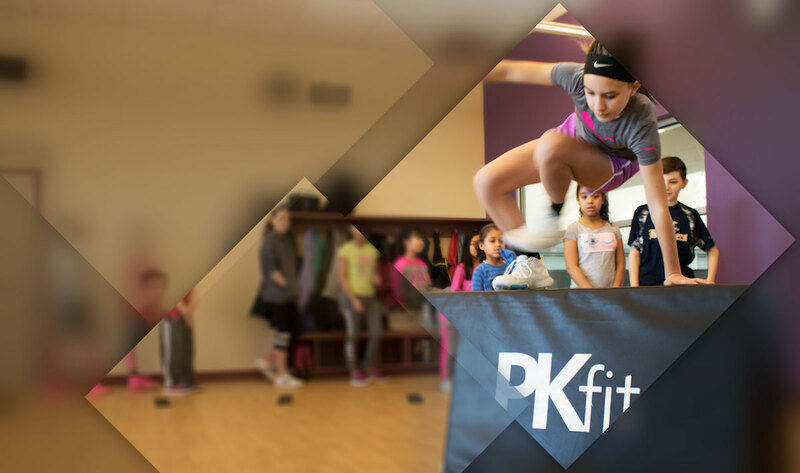 Pkfit is a safe and engaging way to introduce members of all ages to basic parkour and ninja skills. Our ongoing curriculum develops functional strength, balance, coordination, and mobility – while teaching participants how to move smartly and confidently through obstacles. We provide portable equipment, guided music, and easy-to-implement plans for true, turnkey simplicity. You provide guidance and watch your members unlock their fitness potential and inner ninja. PKfit is a trademarked service. We license our program to your facility or you individually, deliver and demonstrate all equipment, and host a live certification course for your instructors, coaches, trainers, and staff members. PKfit can be licensed annually or through a lifetime subscription. Everything needed to roll out and execute PKfit: the PKfit Kit (equipment package), the PKfit Instructor Course (6 Certifications), and our innovative PKfit Program — monthly workouts, guided music, weekly skills, and CEC videos accessed through our PKfit Dashboard. Once you are licensed and the staff is certified (8-hour course), you are ready to begin; our workout programs (updated monthly) will be available and waiting for you online. We were the first facility on the east coast dedicated solely to parkour & freerunning. The cost of our PKfit Program is a small annual fee or a discounted one-time fee. It’s your choice.